OK, after a long drought of really good Target fashion collaborations, there’s finally one that has got me super excited. Who What Wear is the go-to site for street style and celebrity fashion, and true to their mission, their collaboration with Target features serious Instagram-bait, basically culling the must-wears from fashion bloggers around the world and distilling them into a super affordable, so-cool collection. 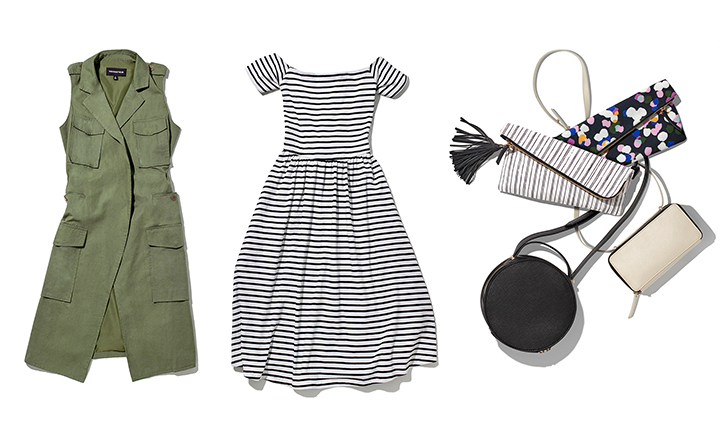 From off-the-shoulder dresses and long trench vests to adorable mini bags and lace-up flats, there’s something for everyone, including really good plus sized pieces. Definitely on my list of must-buys is the high-neck lace blouse, black cape blazer (even though it looks a lot like the one I already own) and fluted skirt. You better believe I’ll be shopping like a madwoman when the collaboration drops on January 31. Read on to see more looks from the collection — and be prepared to start drooling. The look book for the Who What Wear collaboration with Target features street style bait stars like Lily Kwong, Zanita Whittington and Gala Gonzalez. Bow blouse, $27.99, minimal moto, $44.99, pleat-front shorts, $24.99; print tee, $17.99, blush blazer, $39.99, zip pouch, $19.99; mod moto, $39.99, pencil skirt, $27.99. 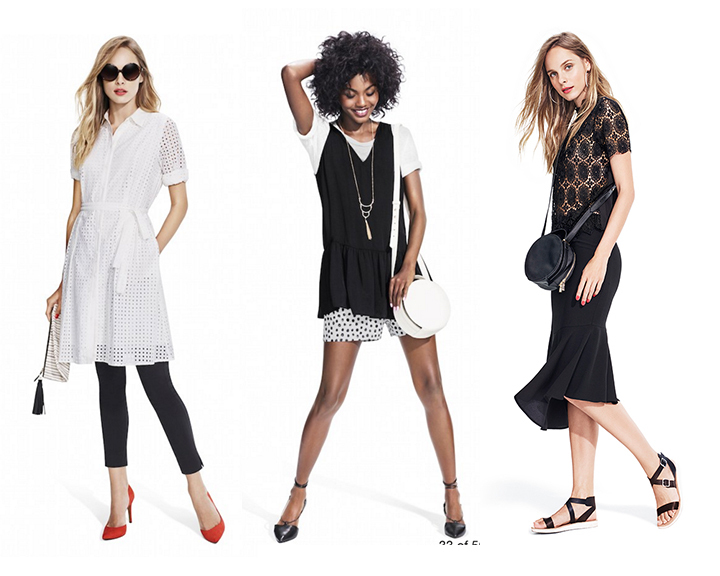 Laser-cut shirt dress, black skinny pants, red pumps, sunglasses; white tee, peplum tank, $22.99, dot shorts, $24.99, gold necklace; lace tee, $19.99, fluted skirt, $29.99. 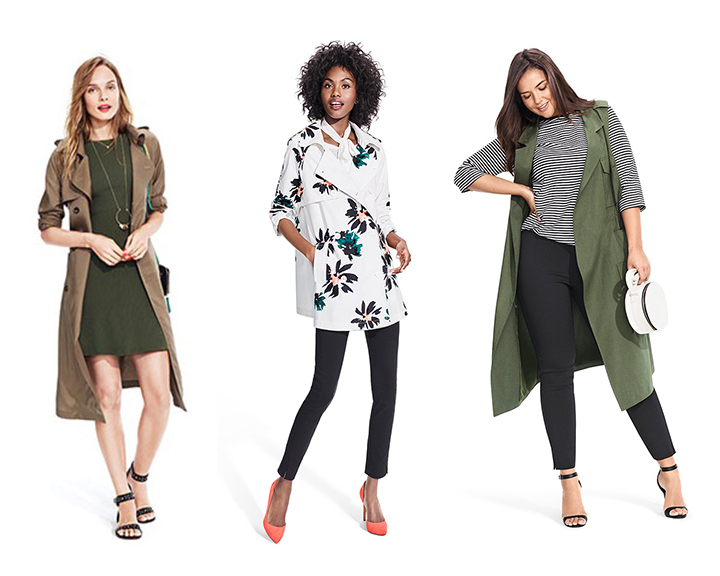 Ribbed sweater dress, $39.99, trench, $49.99; printed trench, $44.99, skinny scarf, $14.99, skinny crop pant, $29.99; bateau stripe tee, $22.99, trench vest, $44.99, skinny crop pant, $32.99, crossbody circle bag, $29.99. 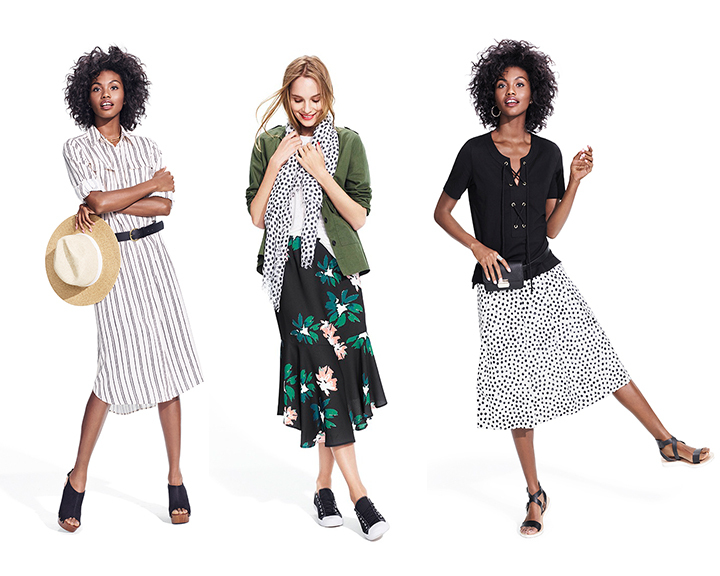 Shirtdress, $36.99; peplum utility jacket, $39.99, dot wrap, $19.99, fluted skirt, $29.99; lace-up tee, $19.99, birdcage skirt, $29.99. 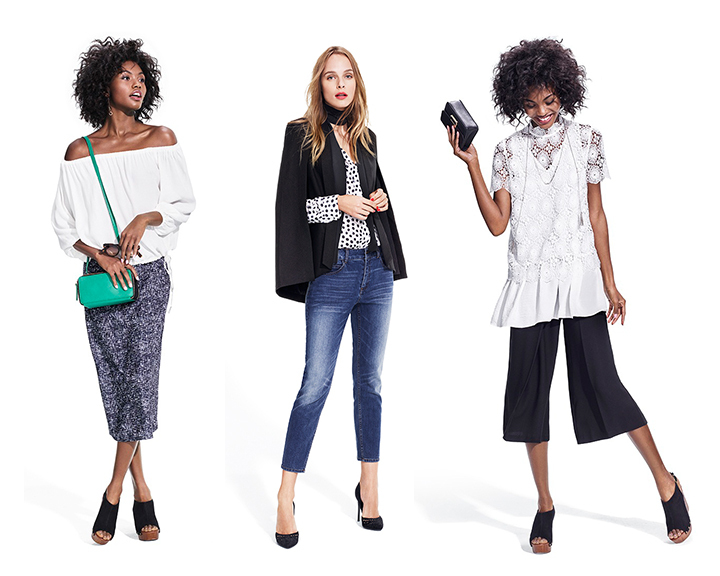 Gathered Bardot top, $24.99, pencil skirt, $27.99; painted dot blouse, $24.99, cape blazer, $39.99, skinny scarf, $14.99, slim boyfriend jean, $34.99; peplum tank, $22.99, high-neck lace tee, $24.99, wrap-front culottes, $29.99. I love the laser cut top and the high-neck blouse below — perfect for layering in the middle of winter. Left outfit: Laser-cut blouse, floral skirt, zip bag, black flats. 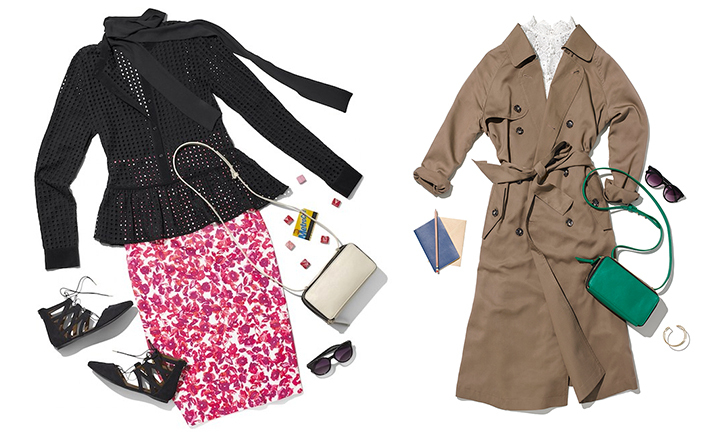 Right outfit: Lace high-neck tee, $24.99, trench, $49.99, double zip bag, $29.99. 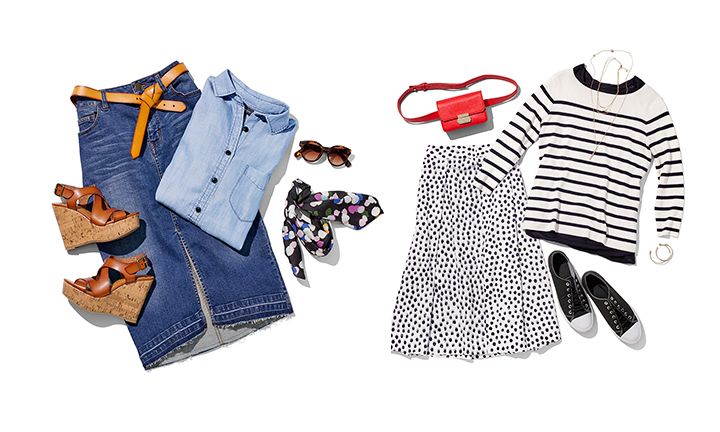 Left outfit: Chambray shirt, $27.99, denim pencil skirt, $29.99, knotted belt, $19.99, silk neck scarf, $14.99. Right outfit: Classic crew top, $17.99, bateau sweater, $27.99, birdcage skirt, $29.99, belt bag, $24.99. 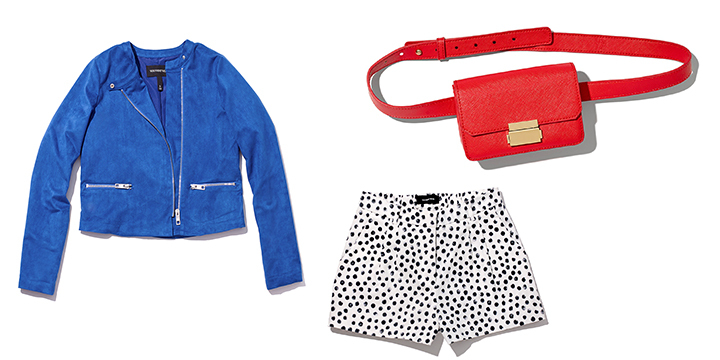 Mod moto jacket, $39.99, shorts, $24.99, belt bag, $24.99. Trench vest, $39.99, knit Bardot plus dress, $32.99, pouches, $19.99, and crossbody bags, $29.99. 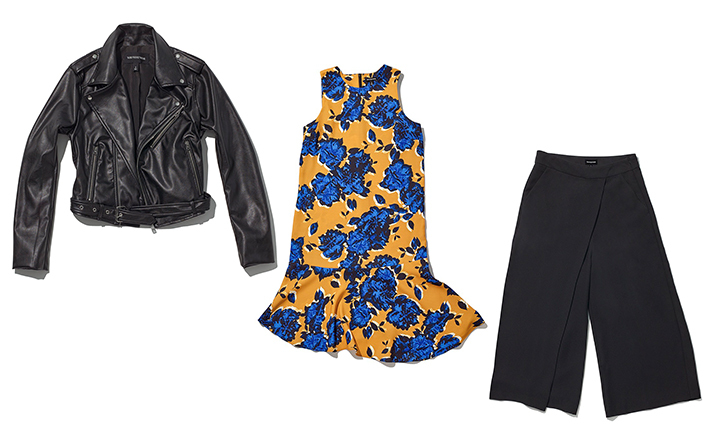 Moto jacket, $44.99, shift dress, $29.99, wrap front culottes, $29.99. 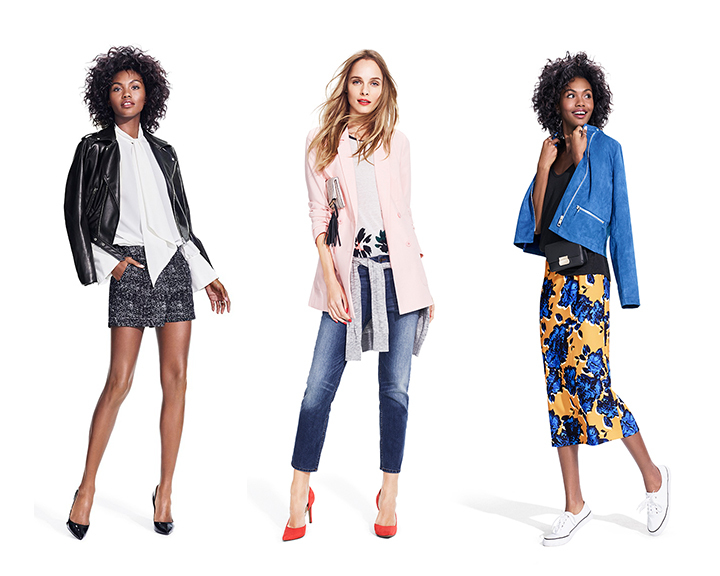 What are you going to get, and — more importantly — how are you going to wear it?? ?